Here you have a useful freebie containing 11 magnify lens search icons. Free PSD created by Dennys Hess. Here is a free PSD of an auto-complete dropdown search field. It has been conceived and designed by Hüseyin Emanet. 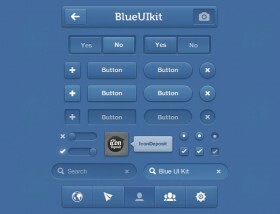 Dark UI kit containing buttons, checkboxes, toggles, dropdowns, search fields, text fileds, sliders. Free PSD designed by Vinny Singh. 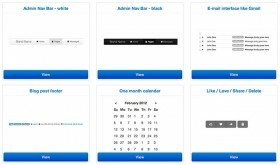 This Blue UI (user interface) kit includes everything from checkboxes, radio buttons, and toolbars, to search boxes and tooltips. Here is a UI Kit (buttons, search fields, rating stars, switches, et cetera). Free PSD designed by Yiğit Pınarbaşı. A simple and elegant search field. Free PSD created by Maria Garkusha. Search through your media by text or by voice. The pop-up (or pop-down) shows an example of the commands you can give. 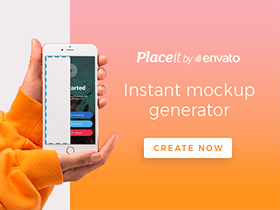 Free PSD! 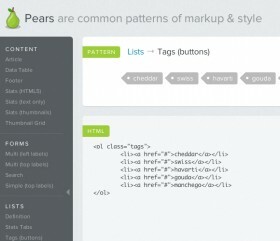 A very useful project, Pears, is an open source WordPress theme that enables you to get your own pattern library up and running quickly. Boot snipp is a library of elements / code snippets for Twitter Bootstrap HTML/CSS/JS framework. Thanks to Maks Surguy for this CSS library. 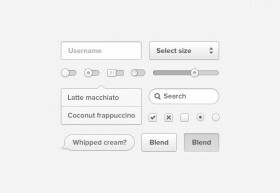 Coconut is a PSD light UI kit by Robert van Klinken.